In unique and historical surroundings, we offer personality and charm, combined with all modern facilities. Our high standard holiday apartments are in the best location in Syracuse. 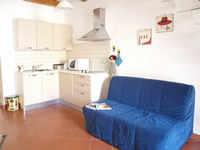 They are located in Ortigia island, just a few steps away from piazza Duomo and Aretusa Fountain. 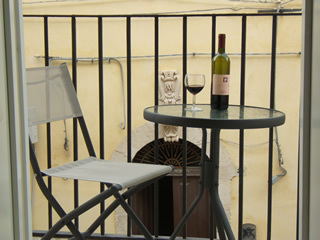 Their location, right in the centre, is perfect to fully enjoy the charming city of Syracuse. Everything is on your doorstep: the S. Martino church and Bellomo Museum are just round the corner, whilst the Apollum Templum and the open air market are 10 minutes away by foot. A free beach is available less than 50 meters away and all around you will find shops, cafes, restaurants, pizzerie and many bars where you can appreciate the best "granita" in Sicily! Why confine yourself to a cramped hotel room when you can have all the comforts of home for the same price or less? Whether for a short stay, or a longer rental our high standard apartments are fully furnished to a four or five star tourist board standard. Families, business travellers and vacationers will all find themselves equally at home in our apartments. Reside in our apartments in Syracuse and your expectations of comfort and lifestyle are met with the reality of staying in prestigious & modern furnished apartments. 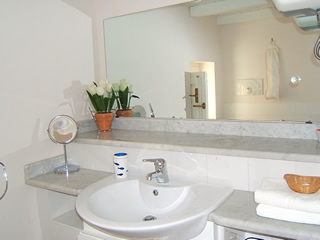 It is our aim to exceed your expectations of a first class hotel and to create the perfect home away from home. 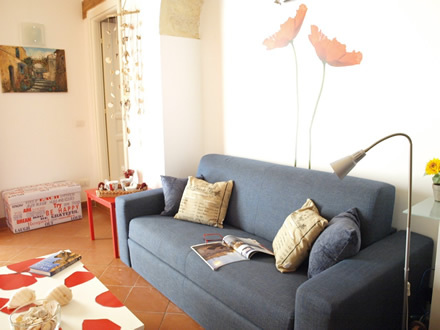 Our charming apartments in Ortygia allow travelers to enjoy the comfort and intimacy of their own place in Siracusa, in the South East of Sicily. They are a perfect alternative to staying in a hotel! 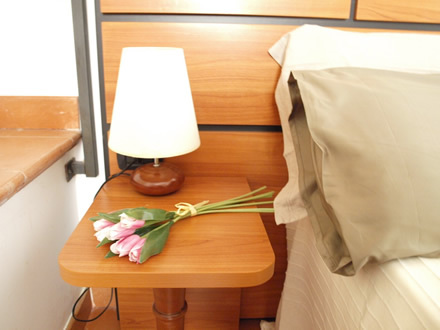 We look forward to welcoming you to our Apartments in Ortigia! 10% reduction for one week rental in January or February 2018! ...Vacation Rentals, Self Catering accomodations, Holiday rentals, Budget apartments, Budget accommodations, Private houses, Private villas, Villas on the sea, Apartments to rent, Chambre d'hote, Maisons, Rental flats in Sicilia ...contact us! 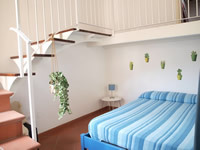 Our apartments are good located for getting around in the South East of Sicily and having daily trips in Taormina, Acireale, Ragusa, Ortygia, Messina, Brucoli, Fontane Bianche, Noto, Noto Marina, Eloro, Catania, Etna Volcano, Caltagirone, Piazza Armerina, Modica, Pozzallo, ...and other several places!